We perform loan modifications for homeowners who have fallen behind in their mortgage payments or who are facing foreclosure. We will renegotiate the terms of your loan with your bank and obtain a new loan with a lower payment and lower interest rate. In some cases, we may even be able to obtain principal forgiveness, in which the bank reduces the overall balance of your mortgage owed to a more reasonable level. At PreFore, we understand that these are difficult times for you, which is why we take the pressure off your shoulders and make this process simple as possible for you. Our services are designed to help homeowners in need of assistance in preventing foreclosure. One of our modification specialists will give you an overview and answer all of your questions. We will send you (via fax, email, or mail) a pre-filled application, in which we request your signature along with a couple of supporting documents (such as bank statements, proof of employment, etc). 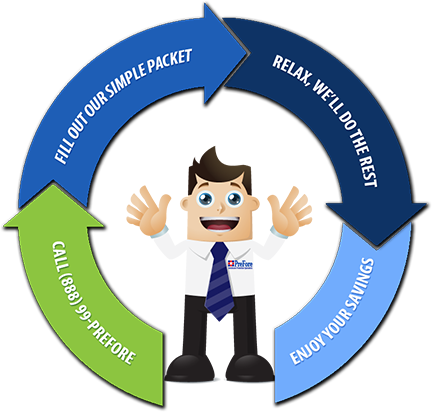 Send us the completed package, and we will handle the rest. *** You will be given a Client ID number by a PreFore respresentative where you can track the status of your modification as we receive updates from the bank. What are the Benefits of Working with PreFore? Low Fees: our fees are based entirely on what we are able to save you on your monthly payment. We want our clients to know that we are working hard for them to ease their pain as much as we can. No Risk: PreFore does not charge anything up front, and you will not pay a cent if we are not able to obtain a modification for you. Technology: we use special software that allow us to analyze and calculate your financials, which will be sent along with your completed package for your bank’s underwriters fast approval. Consistent Communication: we provide our clients with a unique ID number that they can use on our website to check the status of their modification. We created such a system to make it easy for our clients to track the progress, at any time. Stabilizing home prices by keeping foreclosures from coming onto the market. Lender will have a performing loan on their books and will not have to go through the costly process of foreclosing on a property. While modifications are often preferable to short sales, a short sale may be a viable option in the event that you no longer wish to keep the property but would like to avoid the consequences of foreclosure. A short sale will allow you to sell your home for less than the amount owed on your mortgage, and can often have a less harmful effect on your credit (in many cases, you may be able to purchase another home in 2-3 years vs. 5-7 years with a foreclosure). A short sale can offer you many benefits and generally will cost you nothing, as your bank will take care of all related expenses when the house is sold. One of our short sale specialists will give you an overview and answer all of your questions. We will list your house for sale once we get approval from your lender. Our expert realtors will market your house and find you a buyer. *** We will work with your lender to get you as much money in relocation assistance as possible. 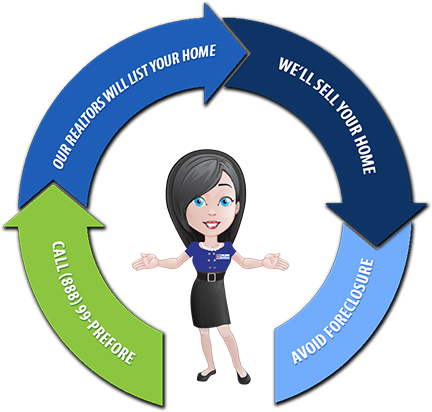 Seller avoids going through the long and stressful foreclosure process. Seller is relieved of paying remaining balance on the loan. (This will be in writing that the lender is indeed forgiving portion of the loan). Seller’s credit will not get damaged as badly as it would going through a foreclosure. Seller may receive up to $30,000 in relocation assistance. Seller may get to live in the house without making any payments while the house is for sale. Buyer is buying a clean-titled house at discounted price. Buyer does not have to force the residence out of the house as the case may be in a foreclosure. Lender will save a lot more money and time by going through short sale rather than foreclosing on a property.